Essie Gel Couture After Party Collection 2016 in the shade "Hang Up The Heels" is a coal black, with hues of jade shimmer. Showing our 2 Essie Couture After Party Collection 2016 - Hang Up The Heels 13.5ml (410) reviews with an average rating of Excellent. Would you like to write a review? Great colour especially for the festive season. Nearly black, but has an emerald spark when applied. Dries quick enough & you good to go for 10 days or so! 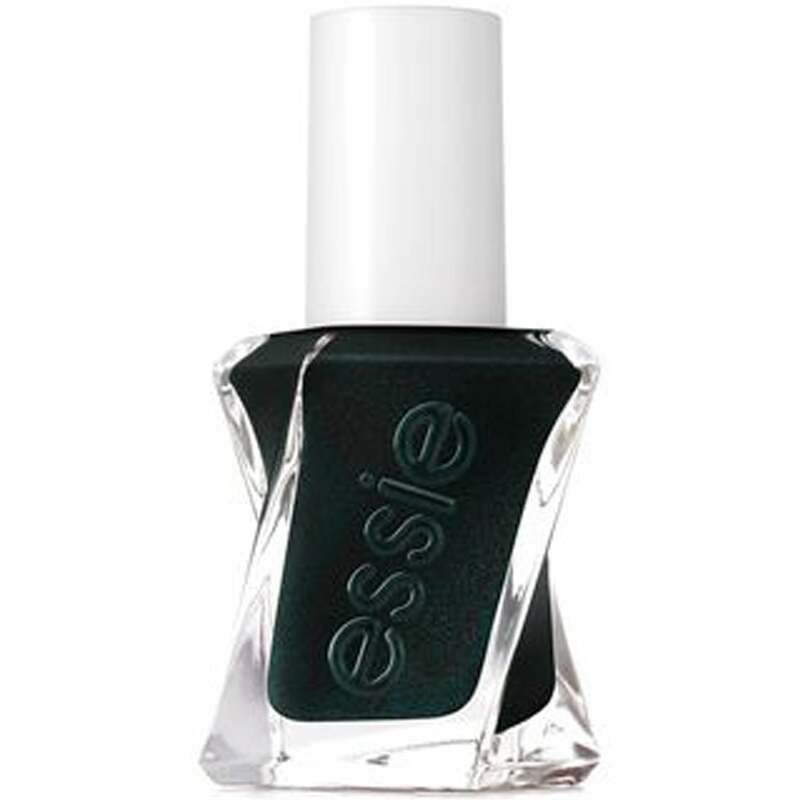 This is a mysterious colour black with a hint of blue /green Essie does not disappoint.